Golf Car News Magazine started in 1972 and is the oldest and original publication for the Golf, Turf and Industrial Vehicle dealer network worldwide. Each issue is sent to over 3,000 qualified golf car dealers and does not accept subscriptions from Retail users. The magazine is published once every two months. Golf Car News is an industry “must-have” and a rich reference resource for golf car dealers. From insights into top news and events; product information, profiles and key trends, Golf Car News offers you an easy source of reference for your business. Each issue features up-to-date product information, services and other important news from the manufacturers in our Industry News section. The Ask The Guru section answers our readers’ questions and concerns about the care and maintenance of their vehicles. Got a question for the Guru? Contact us with you question. 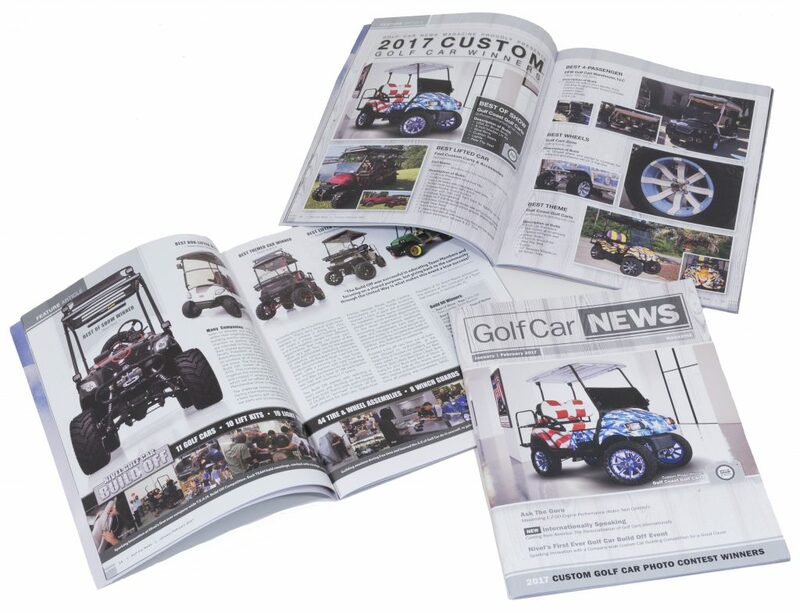 Golf Car News also features a different Editorial theme each issue, from our Custom & Exotic car contest in the January/February issue through the ever popular Golf Car Accessories Guide in the July/August issue. Please see our complete Editorial Calendar.